Want to see what the new MapGuide Open Source AJAX and DWF viewers look like? 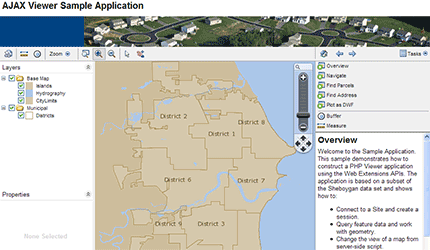 The Open Source Geospatial Foundation has a webpage with a couple examples for you to check out. Maybe Digg or Slashdot have linked to them because at least on my end they are pretty slow. I was talking about how ESRI could sell (or give away) the Web ADF so developers could use it in other applications, but maybe MapGuide Open Source could fit that bill also.